Recent trends of bioenergy, lignocellulosic raw materials and grasslands for advanced biofuels, biopower, pulp and biogas show promising perspectives in 2013. The industry requires lower costs and some trends show promising alternatives in a new paradigm which most recent developments in 2012/2013 are here enlisted and analyzed. Since 1st generation biofuels started to be criticized in the last decade, more and more lignocellulosic raw materials for heat, electricity and advanced biofuels have became a more serious alternative to consider. Sustainability production, landscape and land use integration and avoiding food disruption or enhancing food crops and food security by promoting renewable energies, are all key issues regarding biomass and bioenergy. In 2012/2013, most trends show a clear tendency towards the need to reduce biomass and feedstock costs. More certifications are coming up and a more sustainable production pattern is the focus of researchers and companies. Biopower and advanced biofuels are on the edge of lignocellulosic raw materials. 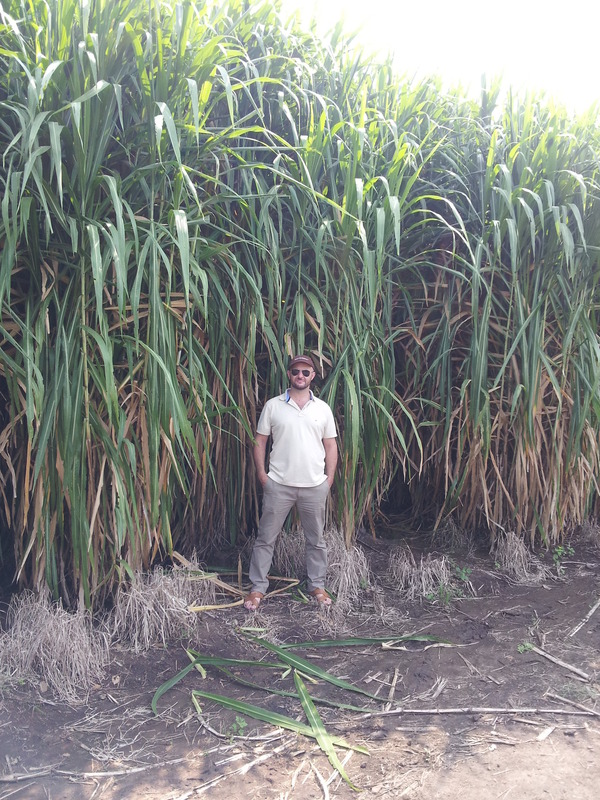 Producing high yielding energy crops and reducing costs for straw, bagasse and other raw materials is a major concern in order to increase the viability of a biobased industry that will surely grow in the next decade. In this post, we have included some of the latest information including scientific reports, list of facilities and relevant projects that show current trends for the sector in 2012/2013. 1) 1st generation: Biodiesel and bioethanol. Current trends. Europe, spearheaded by Germany and France, is the largest biodiesel producer in the world, as well as the largest market. However, market growth for biodiesel has slowed considerably since 2009 as EU policy moves away from supporting biofuels produced from food feedstocks such as rapeseed oil, while domestic biodiesel production has declined since 2010 because of the influx of cheaper biodiesel imports from Argentina and Indonesia. New regulations coming into effect in 2013 will limit the amount of mandated biodiesel producers can make from food crops, and will cause depressed conditions for the region’s biodiesel market through to 2020. The biofuel belt keeps creeping across the US – and it’s wildlife that loses out. EU criteria for sustainable biofuels: Accounting for carbon, depoliticising plunder. Beyond commonplace biofuels: Social aspects of ethanol. Updates on recent news items and other public policy developments relating to the U.S. Renewable Fuel Standard (RFS). The sector is still expanding as production and trade increase and more new certifications schemes are released each year. Advanced biofuels are the latest trend in the biofuels industry these days. Scientists all over the world are trying to create fuel from the unlikeliest of materials. Waste materials, chicken feathers, plastic bags, wood, and many other sources are being used to create a next generation of biofuels known as advanced biofuels. Energy crops and particularly grasslands are also a trend topic and have clearly gained much more acceptance in the last year. We showed in other posts the several benefits of perennial crops for biogas, energy plantations for marginal areas and grasslands for bioenergy uses. The International Energy Agency Bioenergy Task 39 group recently (2013) published a report that outlines progress on more than 100 advanced biofuel projects under development worldwide. The document points out that production capacity for lignocellulosic biofuels has tripled since 2010, with current capacity reaching approximately 140,000 metric tons of fuel per year. The production capacity of hydrotreating technology has also multiplied, reaching nearly 2.19 million metric tons per year. Still, the industry has faced several challenges, and as expected, some projects have failed.Several types of projects are included in the scope of the report, including those manufacturing biofuels from lignocellulosic biomass, plant oils, sugar molecules and carbon dioxide feedstocks. Algae biomass projects are not included in the analysis. A good interview to a member of the “National Advanced Biofuels Consortium” by Energy Insider is also worth reading. It is mostly on last trends, potential, current status and barriers for advanced biofuels. And yes, feedstock and reducing production costs is a trend. See more about this in this report: “Biomass 2013: How the Advanced Bioindustry is Reshaping American Energy“. And some news from Biofuel Digests we also recommend can be found here. Last trends on Algae biofuels show that the industry is getting funds and growing fast but big steps are required to go forward. Some evidences show that a skeptical trend coming up to scale up facilities and avoid environmental impacts in the meantime. Read about that in recent news here:. – From Slime to Dollar Signs? Algae have potential, but there are challenges to overcome. With the current global focus on routes towards low and zero carbon economies, on-site community scale renewable heat and power generation is gaining increasing attention. The market for biomass power plants continues to boom. Between 2007 and 2011, more than 750 biomass power plants with a capacity of over 8,200 MWel went operational – more than ever before. This growth will even accelerate in the years to come. Approximately another 820 power plants with a capacity of 12,500 MWel will be commissioned by 2016. The internationally increasing subsidisation of renewable energies is the main reason for this growth. Biomass has a special status among the renewable energies as generating energy from biomass follows the demand – contrary to the energetic use of sun, wind and water. The third edition of the study from ECOPROG (see report) analysed the worldwide market for electricity generation from solid biomass. They have elaborated it in cooperation with energy agencies, public authorities and associations as well as with operators and plant manufacturers from the segment of electricity generation from biomass. United States markets: In 2013, EIA predicts slight increase in biomass power production for United States. The U.S. Energy Information Administration has released the February 2013 issue of its Short-Term Energy Outlook. According to the outlook, EIA expects total electricity generation across all sectors to increase by 0.5 percent in 2013 and 0.8 percent in 2014. Europe: Europe consumed 13m tonnes of wood pellets in 2012, according to International Wood Markets Group, a Canadian company. 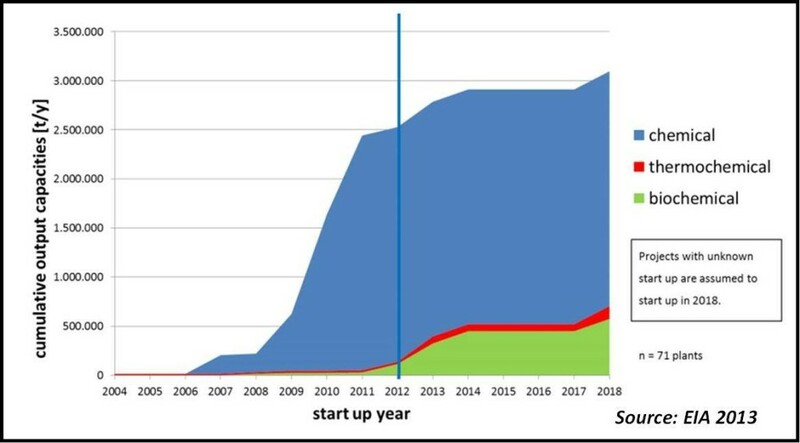 On current trends, European demand will rise to 25m-30m a year by 2020. International Renewable Energy Agency (IRENA) report from June 2012, provides a good start to read and be informed on last developments of biobased industries. Feedstock source is on the edge and most recent developments showed that reducing biomass and energy plantation costs will be a serious aspect to address in the next years. The European Biomass Association (AEBIOM) expects that energy crops and especially perennial energy crops due to their environmental benefits will be allowed to grow on ecological focus area and that there will be sufficient support available for bioenergy under rural development as the EU relies on agriculture to meet 2020 RES targets. See here the report. Finally, a new research study released by IHS Emerging Energy Research predicts that the biomass market will grow by 30 GW between 2012 and 2035 representing 6% of the additional renewable energy capacity in the EU. U.K. power production from plant biomass doubled in 2012. The Future of Carbon Capture and Storage in Europe. Biomass gasification for electricity generation: Review of current technology barriers. 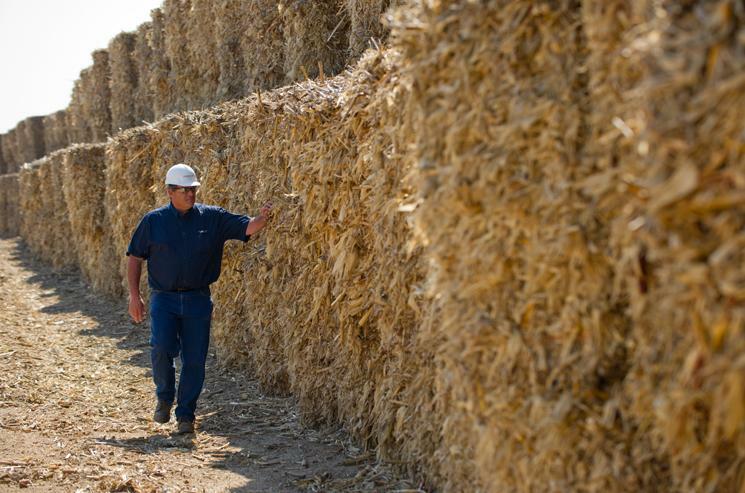 Biomass Power’s Slice of Pie Continues to Grow. Environmental assessment of CCHP (combined cooling heating and power) systems based on biomass combustion in comparison to conventional generation. A technical and economic analysis of three large scale biomass combustion plants in the UK. Economic viability of biomass cofiring in new hard-coal power plants in Germany. Quite interesting. We are attempting something similar in Peru. It is a matter of numbers and a population asking governments to decrease subsidies to fossil energy. In Peru we can bring several small scale solutions, replace diesel generators for biomass boilers, evaluate pellet exports and reforestation programs, and also help on building funded projects in local calls. Contact us if interested. you might be but certainly you’re going to a famous blogger in the event you are not already. Cheers!